A few months back, Tad asked me, along with other Niching for Hippies alumni, for feedback on “The Niching Spiral,” and what other suggestions we might have. I shared that I liked the spiral imagery. In my experience at least, a niche isn’t a one time decision, but rather, a process of continually self-discovery and how that relates to your Big Circle (assuming you’ve given up trying to help absolutely everyone as an unworkable fantasy). 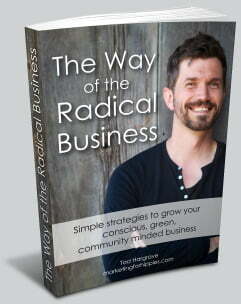 Part of this journey is uncovering who shows up—for Tad, this was holistic practitioners in his workshops and then, later, permaculture practitioners; for me, it was recognizing that alternative/socially-conscious entrepreneurs were my primary clients, even though I’m not a business coach (and don’t want to be). Part of this was trying things to see how they worked—my early “Healing for Healers” program was met with great enthusiasm . . . and little investment. It’s why we “date” niches instead of asking them to marry us immediately. Some relationship we repair and heal. Some we end, moving on. If you aren’t tracking, you don’t know your own business. And this is true of even the smallest businesses, the ones where of course you know. I get that this reads like a bold statement. Let me share my experience. Kwan Yin Healing is a boutique business. I work with spiritually-conscious people, open to the idea of energy healing, who are struggling with healing needs in a broad context, from physical pain to life path confusion, and who are ready to move forward on a comprehensive map to peace. For me, that means programs that really delve into working together to successfully resolve problems. And that means higher end offers with fewer clients than a high-volume/low-cost model. So in my first few years in business, that added up to a few hundred clients from half a dozen countries. Not too difficult to keep straight in my head, right? Still . . . the tax man likes to see numbers, and prefers these numbers based on reality. So, I sat down to list my clients, what they bought, who was coming back for additional programs, who was referring people, and what everybody spent (including the free sessions I gave away), just to see (since I had to do it to get an accurate income figure anyway). And, I thought maybe I could see going into the future something helpful in regard to the 80/20 rule. Just being proactive, I thought. What I learned is that I had been clueless. And I wish I’d known what I learned months earlier. It really would have helped. 1) I had no idea who my real clients were. Turns out, the 80/20 rule was a joke. Try 95/5. Yup—95% of my income (vs. my business time) came from just 5% of my clients. Those 5% were also 100% of my referral sources. Nearly 100% of my repeat business too. And incidentally, these 5% continually showed up on my free teleseminars, called in when I did radio interviews, participated in surveys and on social media. These people are my Tribe. They like me. They follow me. They talk about me to friends. But all my marketing and outreach efforts were geared to the 95% that was showing me little love. No wonder building my business was so excruciatingly slow! I kicked myself. Then changed course immediately. 2) I didn’t know what my real work was. Very early in my business, I went after this idea that “some people get healing, some don’t.” The standard “maybe they weren’t ready” wasn’t enough for me—it begs the question. WHY aren’t they ready? What would they need to get ready? Why don’t they have it now? Tracking brought the first answers. I looked at the many rows of free sessions—and I didn’t mind doing those sessions, and had no high expectations they would lead anywhere. But I noticed something interesting – these people weren’t getting the results other clients were getting. I was intrigued by this because other clients were sometimes getting spectacular results from the first session—one client who had been seeing a chiropractor weekly for a year after an auto accident was told that he didn’t know why, but her C1 vertebrae had moved back into place, that her high blood pressure had dropped to normal, and she didn’t need to come anymore. I noticed, though, that these first session successes were almost all from clients who had signed on for a longer commitment (working through other issues beyond physical symptoms). Another client found relief from his tortured back and from the nerve damage in his foot—and went on to deeper work, and had significant realizations about where he was in life and why. Yet he never followed up and made changes . . . and after a time, the pain returned. Meanwhile another client, who kept going to the chiropractor for tightness in his back that kept him from practicing martial arts, felt it tightening again on his way home after each visit, until we worked together and brought lasting relief. It was following through with each client’s commitment that I discovered the Four Pillars of healing: Clarity, Connection, Coherence, and Change. With all four, clients got results. If one or more was missing, results suffered or vanished. I never would have seen this (or would have taken much longer to uncover it) had I not been tracking. These Four Pillars are now the cornerstone of all my work. 3) I got an unquestionable lesson on the quality of my systems. 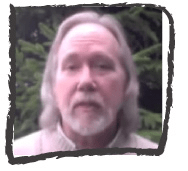 If you’ve never read Sam Carpenter’s book, “Work the System,” you should. Systems are the difference between struggling and succeeding, between the feast or famine cycle and sustainability. Fortunately, evaluating my systems didn’t take long at all—my tracking experience revealed that I clearly didn’t have any. I only thought I did. So how would I track my systems? First I’d have to decide what I needed to measure, and then, I’d have to set up the systems for achieve those things reliably. In short, I realized just what a mess my business model really was. And how to fix it. 4) I had no idea I was so fiscally irresponsible. I’ve always held some criticism for those “bean counters” in organizations looking at the bottom line, those perceived as myopic, heartless, soul-less vision-killers. And now I openly apologize to them, and recommend every organization run out and get some. The second year, I had promised myself not to let tracking go so long again. And—once again, found myself doing it the week before my accountant needed the information (see #3 regarding no systems—those systems were clearly going to need some system for accountability). Well, I knew my clients and their situations better now. What I didn’t realize was how much money I had made. I stared in amazement, and reran the figures, thinking I must have made a mistake. Then I wondered—if I made that much, what did I do with it??? Then I ran expenses. I knew I had spent more than I’d have liked, and had hung on too long with a campaign. But when I had the figures in front of me, I wished I’d had them months earlier, because I would have pulled the plug 2/3 sooner than I did. And there were a number of categories that totaled much more than I would have guessed. Just as the bean counters warned – you can increase your profits just by paying attention to income and expenses. I wish I had started doing this sooner. 5) I didn’t even know what I knew. My most successful marketing to date has been teleseminars. They always have generated new clients, and they’ve generated nearly all of my high end clients. I promoted these primarily through Facebook (a third of my email list found me there). But Facebook keeps changing the rules of the game, and a series of these changes turned a lucrative strategy into a worthless one. Now what? Enter tracking. My teleseminar strategy isn’t necessarily dead—only one part of it. I have good data on how many people will sign up, how many of those will be on the call, how many of those will convert. I can go back and add the missing data—how many people did I need to reach to get those sign ups. Since the rest of this is solid, all that’s missing are new paths to the teleseminar sign-up. The rest I already know—and know well—from tracking. 6) I didn’t know which were the weak links in my marketing. Once I finally got the message that tracking was important, I started to pay attention to other things as well. A lot of activities and options sound cool, but are they helping the bottom line (See my new-found kinship with the bean counters? I’m already learning the lingo)? I have a press release package – do clients find me that way? Do they click over from social media? Do they click the links from guest blog posts? Not that the bottom line has to rule everything – but now I can make the choice. Am I investing wisely in paid marketing? What’s the return? Are my activities worth the time and trouble (and if I just flat out enjoy them, that counts too)? To what degree? Point is, I don’t have to guess. I *know* what’s working and what’s not, and can move to deciding what to fix, what to adjust, and what to abandon. 7) I didn’t have any way to know how to make my business sustainable. Without tracking, I had no way to plan. That left me with no strategies for getting there. But once I know here’s the financial goal, here’s how many clients that would take under different options, here’s what I have to do to meet that many clients, here’s how many people I need to engage to meet that many clients, here’s how I’ll need to do that, here’s what those activities would take in terms of planning and time, and suddenly, I have a calendar and business plan. Just like that. And I can track it to see how it’s working. 8) I didn’t realize I was mistaken about my niche—or why. Tracking keeps me honest about who I think I help. Because if I’m going to track this, I need something to track. Remember my Big Circle? I help spiritually-conscious people who are nonetheless struggling with life path or health. They’ve taken the yoga and T’ai Chi classes, they mediate, they attend the right seminars, read the right books, eat the right granola – and yet things are coming together for them. Great! So where do these people hang out? And to address what particular need? Now, what’s trackable here? Notice some of these are clearer than others. And to find hubs, clarity will be essential. The clearest of these is the first one – suffering chronic pain, looking for relief. It’s simple, it’s straight-forward, it’s something people actually say about themselves and actually seek. So let’s test it (Wow! Now I have an R&D department, all from tracking!). Do you (or someone you know) suffer from chronic pain? How would you describe that pain, on a scale of 1-10, ten being unbearable, 1 being barely noticeable? See how we’re going to track that progress? If you’re open to the idea of energy healing, and are ready to find relief without medication, then visit to http://kwanyinhealing.com , drop me a note, and we’ll set up a free phone consult to discuss it. In this consult, you’ll (1) gain clarity about your health and what’s possible for you, (2) identify key milestones and key obstacles to a pain-free life, and (3) leave the session feeling renewed, inspired, and re-energized. I’ll be tracking the results.